Hello! 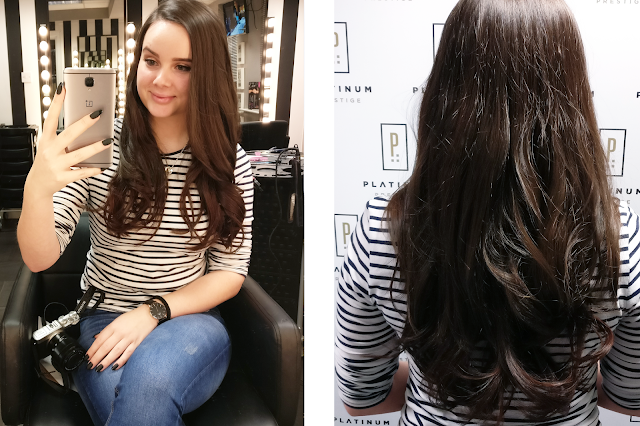 Last month whilst I was up in Dublin I went to Platinum Hair Extensions to get my first ever set of hair extensions. 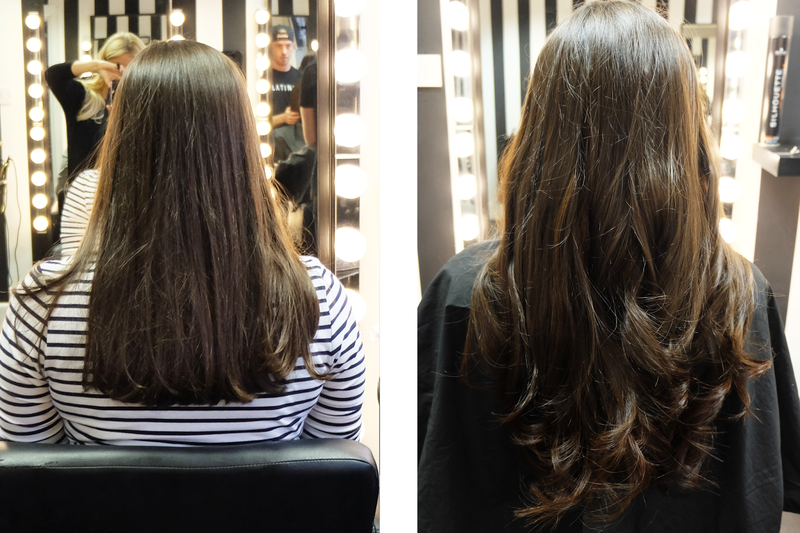 I have quite fine hair, and although I do have a lot of it, I've always wished I had more so getting hair extensions has always been something I've wanted to try. I was a little worried about how well the extensions would match the colour of my own hair as my hair has a slight red undertone (thanks to my Dad's side of the family). First of all we tried a dark brown colour but it was a little too dark for my hair and didn't have the multi-tonal look my hair naturally has so instead went for a colour that had the warm undertone and it matched perfectly! 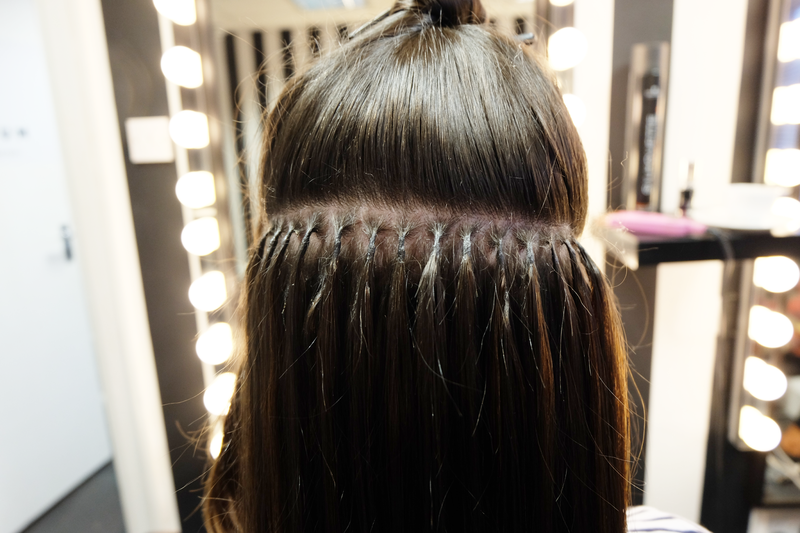 The whole process was surprisingly fast and completely painless, the bonds used to apply the hair extensions are also very small so they blend really well in your hair. Overall the entire head of extensions took just under two hours and that time absolutely flew. I had a full head of extensions applied to make sure it would blend properly with my own hair (which they do) and I'm absolutely delighted with them! That evening after I'd had the extensions applied, they did feel quite tight and a little sore, which I had been told to expect, and sleeping on them felt seriously weird but like anything you just get used to it. Now, almost a month since I first had them applied, I don't even notice them in my hair anymore! Taking proper care of your extensions is very important if you want them to last the full time which is around 4 months. It's important to use shampoos that are free from sulfates and parabens as these ingredients will break down the bonds a lot faster, and in general sulfate and paraben free shampoos are better for your hair anyway! I have to say, getting used to blow drying my hair when I now have twice the amount has been a little difficult but it's definitely worth it when my hair is done and it looks so full! Since getting my extensions I've had so many people admire them and comment on how natural they look so if you've ever played with the idea of getting extensions, I'd highly recommend Platinum Hair Extensions* because they're honestly amazing! 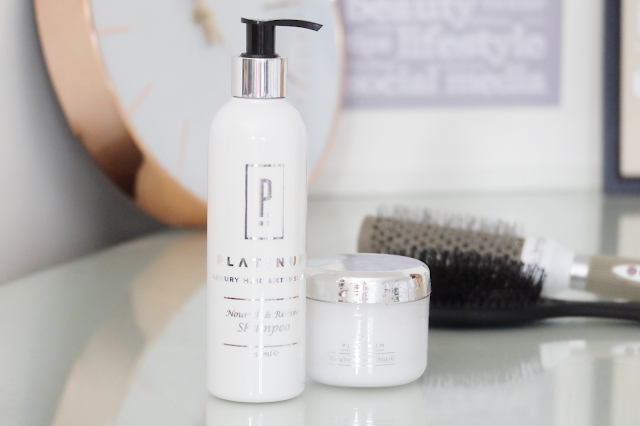 Prices start from €249 and Platinum also have their own range of hair care products too so looking after your extensions is simple. If you have any questions about the extensions feel free to message me on Facebook and I'll be happy to answer them! Thanks so much for reading! * Although I was lucky enough to get a set of Platinum Prestige hair extensions on a complimentary basis, all opinions and thoughts in this post are honest and my own.